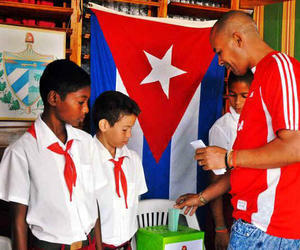 The National Electoral Commission, in compliance with the agreement of the Council of State of the Republic of Cuba of September 18 of this year, where it has to postpone the general election in its first stage for November 26, decided to extend until October 30 the holding of the nomination assemblies of candidates for delegates to the municipal body of People's Power. The extension of this timetable will allow nomination assemblies to be carried out with the required quality and that the population, immersed in the work of recovering after the havoc wreaked by Hurricane Irma, can actively participate in the assembly of their area and nominate to the candidates for their merits, capacity and commitment to the people, under the protection of the Cuban Electoral Law. The lists of voters will be published from October 19 and 20, ensuring that the electoral commissions of the constituency and the corresponding registration, culminate the verification and updating of said document on the scheduled date. The training of electoral authorities at all levels, with special emphasis on those that make up electoral commissions and constituencies, was rescheduled and will take place November 1-17. The biographies and photos of the candidates to delegates to the Municipal Assemblies of People's Power will be published from the first day of November. All of the above entailed the readjustment of the documents, indications and instructions that guarantee the proper organization of the electoral timetable, such as Instruction No. 1 on updating the Voters Register, the National Electoral Commission Activities Plan, the Information Calendar and the Electoral Card, among others. The National Electoral Commission directed its provincial bodies to take the appropriate measures to ensure compliance with the new timetable. From September 21 through the 29, members of the National Electoral Commission and the Group of Supervisors undertake advisory visits to the different electoral structures to know, evaluate and support the work at the base. As reported, November 26 is the new date appointed by the Council of State to elect, for the term of two and a half years, the representatives of the base to the municipal body of the People's Power, and on December 3 for the second round, in those constituencies where none of the candidates has obtained more than half of the valid votes cast. The nomination assemblies of candidates for delegates to the Municipal Assembly of People's Power, which began last September 4, continue throughout Cuba after the passage of Irma, to the extent that in each place are given the conditions to guarantee the quality of the process, with full adherence to the Constitution and the Electoral Law, taking into account the significance of the nomination assemblies, as an opportunity for the full exercise of voters' right.